This discrete monitoring system blends seamlessly into home decor by doubling as a 6 outlet power bar and surge protector. Guests in your home will not have any clue that you are attempting to prevent or detect bed bug activity! Includes chemical lure that lasts up to 90 days! Everyone should be using surge protectors. Unprotected circuits in your electronic equipment can easily be damaged by electrical surges and spikes that travel through power and phone lines. Surge protectors absorb harmful electrical imbalances and safeguard your sensitive electronics. 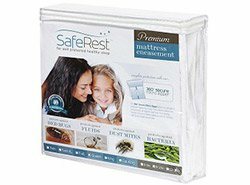 Everyone should also be using a bed bug monitor. Bed bugs are everywhere nowadays, and you never know how, where, or when you might become host to a new infestation. The best response to bed bugs is a fast one, and an effective monitor can tell you early on if bed bugs are active in your home. For the first time, you can now have both a surge protector and a bed bug monitor in one discrete device. 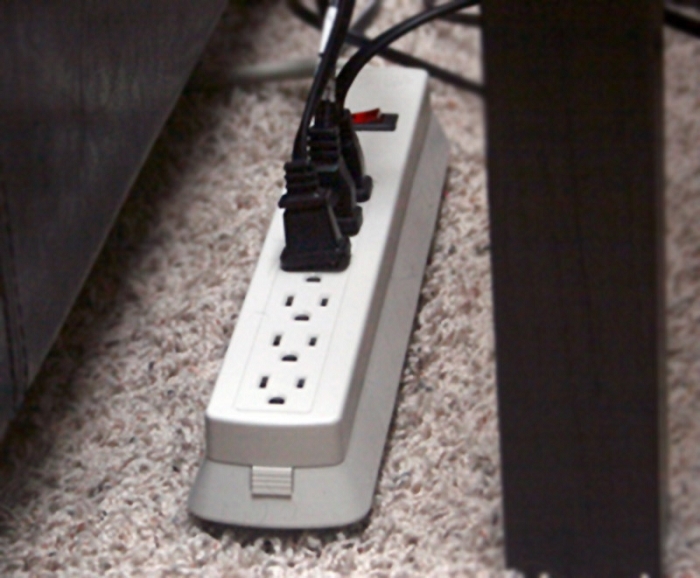 This surge protector looks perfectly innocent and unassuming on the outside, but underneath its functioning power bar hides a chemical lure and glue trap. 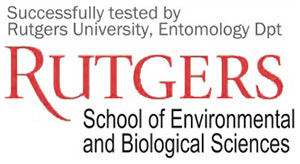 This monitor combines heat and an attractant that was developed by entomologists at Rutgers University, and has been proven effective at drawing bed bugs out from their hiding places and into its sticky pitfall. Setting up and using the BEAP surge protector is easy. All you need to do is push the yellow tab at the end of the power bar, lift the top of the bar up, and peel off the protective sticker from the trap hidden below. Once activated, each lure will work for up to 90 days. 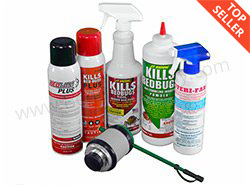 After that time, or if you have caught bed bugs, removing and replacing the lures is a simple task. Replacement lures are available in packs of 4 at a lower price than most monitor replacements. All in all, we're very impressed with the unique design and functionality of the BEAP surge protector and bed bug trap. 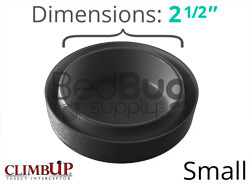 It won't replace the ClimbUp Interceptors for monitoring bed bugs in occupied rooms, or the NightWatch for unoccupied rooms, but it does fill the unique role of year-round monitoring without drawing attention to the fact that you're on the lookout for bed bug activity. Bed bugs are naturally attracted to sources of heat, whether it be your body heat or another source. Bed bugs actively attempt to find the source of heat in search of a potential blood meal. BEAP’s all-new surge protector features a built-in heat generator which bed bugs attempt to seek out. 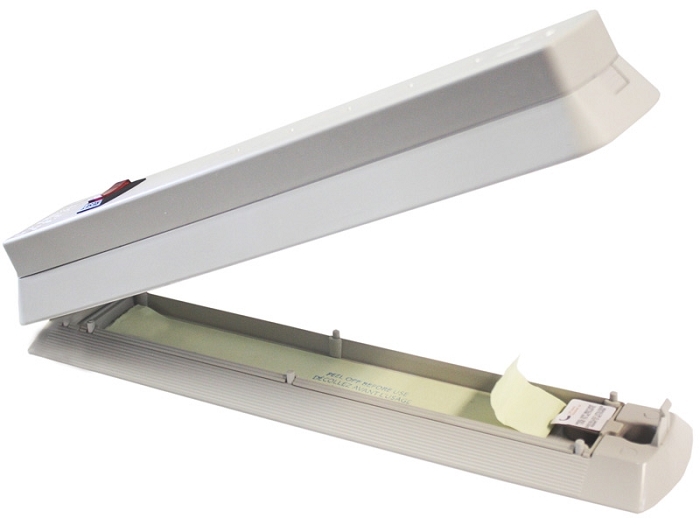 The edges of the included trap easily allow bed bugs to climb up, seeking heat and harborage. The bugs then easily become stuck in a removable/replaceable glue cartridge - no chemicals or solutions! You can easily replace the glue cartridges when bed bugs are found. BEAP's surge protector was placed in a mock bed to test the catch rate against standard, non-lure glue traps. The surge protector was tested against itself, using just heat (without the chemical lure). 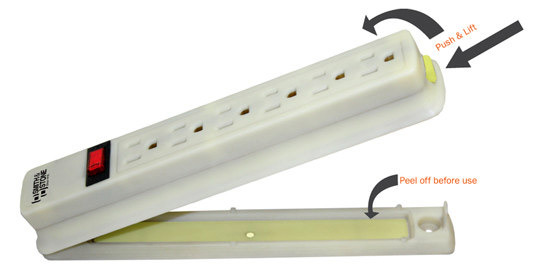 Conclusive results illustrate that the surge protector with the chemical lure captured 1.6x more bed bugs than without the lure, and using the surge protector is 14x more effective at capturing bed bugs than using non-lure, passive glue traps. Q: Is this product successful? It works. I finally found one of those elusive little buggers in the trap. After much agony over the hunt for them. Now I know they are there and I have to get aggressive on treating them. Reviewed by: kenneth from nyc.